Coastal Window Coverings is your one-stop shop for custom window treatments in Spanish Fort and surrounding areas. Family owned and operated since 2008, we are proud to offer the best selection of window treatments, at the best value. We pride ourselves on developing and delivering customized solutions for every customer. We know that window treatments are a big investment, and that they're an investment that enhances the most important space in your life - your home! We believe that our selection of high quality window treatments combined with our customer-first approach makes us the premier provider of window coverings in the Gulf Coast area. Our experienced team will perform a free in-home consultation where we get to know more about you, your home, and your design taste. Once we have developed the perfect solution for your window covering needs, we will custom-order the window coverings. From there, one of our expert installers will professionally install your custom window coverings. From start to finish, we strive to offer the best quality and service. 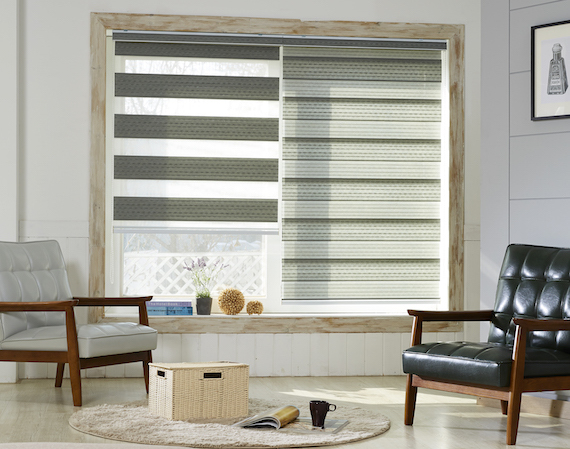 We hope that you will browse our website to learn more about the window fashions that we offer. Our full line of products includes: plantation shutters, horizontal blinds, roller shades, woven woods, cellular shades, window shadings, and vertical blinds. In addition to hard window treatments, we offer soft window treatments as well. As an authorized dealer for Carole Fabrics, we can provide a wide range of fashion-forward solutions to your drapery needs! If you'd like more information about a product, or if you'd like to schedule your free in-home consultation, please contact us!